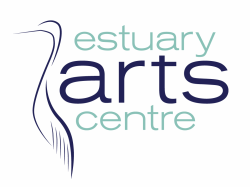 Estuary Arts Centre overlooks the beautiful Te Ara Tahuna Walkway, located in Orewa on the Hibiscus Coast Highway, only 25 minutes from Auckland city centre. A creative Hub for all creatives, whatever age, level or ability. "Thanks you so much for having and Showing my Artworks in your World Class Gallery". "Lovely holiday classes for kids. My daughter loved the mosaic and acrylic paint class she attended. Thank you to the amazing people who run and assist in these classes". Click 'donate' to support our fundraising, via Give-a-Little. All funds raised contribute toward the fit out of our new education wing, which is now open. 9am to 4pm - 7 days a week. Exhibitions change monthly - see our exhibitions for further details.